Long Tail Keywords are simply a type of keyword phrase with as much as three to five words in the phrase and are collectively more specific than a single keyword. Long tail keywords are more likely to convert to sales than shorter keywords, more generic because it has less competition. 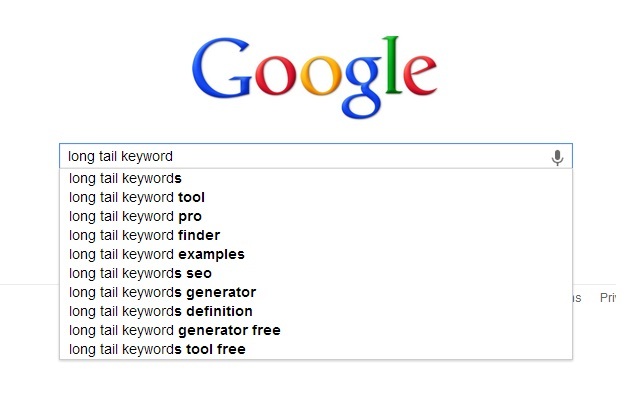 Most long tail keyword searchers are specifically looking for products/services to purchase. Webmasters/bloggers can also use long tail keyword to refine search terms to their web pages. Let’s take for instance these two keywords “Sony TV” and “Sony Bravia TV BX31 22inches”, which of the two do you think a searcher who is really interested in buying an LCD TV will be searching for? The later of course, long tail keywords produce specific results and targeted traffic. The traffic may not be as much as the former but it is also less competitive. Competition: Long tail keywords normally have less competition compared to general keywords in broad searches but should be able to have a little competition to ensure a good PPC amount so you won’t be wasting your time ranking for it. Conversion: A good long tail keyword should be able to sell your products; you won’t want to rank for a long tail keyword that doesn’t convert to sales. So any log tail keyword you are settling for should have a good conversion rate. Traffic: What is the essence of ranking for a long tail keyword that won’t drive a good amount of targeted traffic to your website? While some long tail keywords can produce a monthly traffic of 300 visits some may not boast of 10 visits in a whole month. My advice is don’t waste your time on long tail keywords that can generate a good amount of traffic. Ranking: A good long tail keyword should be easy to rank for, having in mind that people who search by using long tail keywords are mostly likely to become buyers we should strive to be at the fore-front of such keyword easily else don’t waste your time because such searcher may not wait to check inner pages of the search since the first result will give him exactly what he is looking for. Relevance: A perfect long tail keyword must have relevance to the content you are applying it on. That relevance must be maintained, so choose a keyword that best matches your products or services so as to stand a greater chance of converting. Let the keyword naturally suit your content. Most small businesses or start-ups face the challenges of competing to rank for competitive keywords and often times get lost on the inner pages of search engine results. My advice is target long tail keywords, that’s because it is less competitive and more specific and can make a huge difference. Aggregately ranking for several long tail keywords can add up to the majority of your site’s search-driven traffic. But often times we don’t know how to find long tail keywords to rank for so I intend to share with you some great methods to find the perfect long tail keywords. Search Engine Suggest: Have you ever tried to search for something on Google or any other search engine and as you are typing more terms are suggested in your search for you? Even search engines understand the importance of long tail keywords in producing refined and better results? These suggested terms are actually what people are searching for, Google and other search engines store the data of every search ever made on them and use such data to suggest search terms whenever we are searching for same or related query. Keyword Research Tools: Keyword research tools are great for keyword researches and so should be used every time we are researching keywords to rank for but no particular keyword research tool could boast of having it all so I advise you to use several keyword research tools like WordStream Keyword tool, Google keyword Tool, Google Trends, Youtube Keyword Tool and Twitter searches etc. Analytics: Most times the long tail keywords that attract visitors to our site may not have been targeted in any web page in our site, so thoroughly going through your site’s analytics can reveal such keywords to target. Simply write around such long tail keywords to drive even more targeted traffic to your site. Google Related Searches: Another effective method to gain a good insight into long tail keywords to rank for when it comes to how to find long tail keywords is the Google related searches. Often times Google show related searches at the bottom of the search result page. Note both Google suggestions and related searches are no guarantee for volume, you still need to carry out more research using keyword research tools. You can simply use such data as a source of inspiration to finding the perfect long tail keywords. Solve real life problems: Solving real life problems searched by people is also another effective way of coming up with a good long tail keyword. People are looking for solutions to problems directly on Google, so if you can solve such problems using the exact query as your long tail keywords there is a good chance people looking for solutions to such problems will arrive at your site. 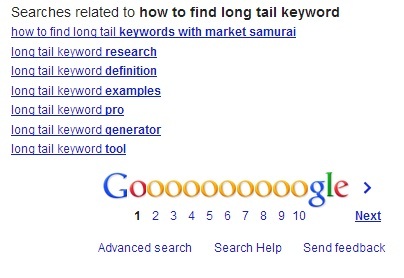 How to find long tail keywords. Look at how I fitted those three into my title and content. This article can as well rank for any of the three. Try to make your title sound natural and fit in perfectly so your audience can understand the message you are trying to pass. Do not stuff your title and content with key-phrases and sound like robots, remember you are writing for humans. Once you have found the perfect long tail keywords, create new content or better still optimize already existing contents on your sites for such keywords. Though I will always favor creating new contents because the more contents you have the more chances you have of ranking for different keywords and another thing to consider while optimizing an existing post is that it may lose its ranking for the keyword it was already ranking for. So simply create useful and valuable content around the long tail keyword you have found, optimize your post very well and you will easily rank for such keywords. Avoid targeting long tail keywords that are not related to the content you have so as not to get banned by Google or seem irrelevant to your customers. Long tail keywords is very effective due to less competition, accuraccy and if it so lucky we can gain more engagement such as comments for the next blog. Because it is very specific. But the long tail keyword can be difficult to incorporate in the blog’s content. And it has less traffic potential than generic keywords. However, long tail keyword has higher conversion rate, more likely to seel products. Thanks Evan i am glad you found the post interesting. And thanks for your compliment as well. Yes long tail keyword may be difficult to integrate so i advise you get your keyword first then plan the post around it that way you can find ways to integrate it better. Thanks for leaving a comment on both Bizsugar and here. Running a Google search provides me with plenty of long tail ideas. Great post Nwosu! My fave tip? Running analytics. A few days ago I noted a visitor showing up through an ask.com search. I topped the search engine for a hyper competitive home business phrase. I also have placed well on Google by using long tails I ranked for…the funny part? I never intended to rank for these terms….happened by accident lol….but then I took the accident and capitalized on it by using similar long tails in the future. Thanks Shameem for your comment, yes long tail keywords make it easier to rank in search engine quickly. Thanks Ryan for sharing your experience this is a strategy i use always, when i see such long tail keywords on my analytics i immediately swing into action, research it and if it is viable because not all are as i explained in the features of a perfect long tail keyword, i build a post around it and immediately rank for it. Google Search is perfect way to search long tail keywords. I never noticed on related searches. thanks for the comment, hope you find the tips useful. Glad you found it interesting. Do have an awesome weekend. Thats exactly my point in this article. Thanks for commenting. Thanks Vivek for your awesome contribution….do have a great weekend. Glad you can now do your SEO, i have been using long tail keyword for long and that has been the secret of my blogging success. Thanks for the suggestions Nwosu, long tail keywords are a great way to get highly targeted traffic. One thing I didn’t really think about was finding a long tail that solves peoples problems! Thanks for the insights! Thanks Eric for your contribution. I hope you visit often to add such quality comments to Netmediablog.